Both sides have asked for more time to file additional documents. The Supreme Court on Wednesday adjourned the hearing in the Bhima Koregaon case to Monday, September 17. 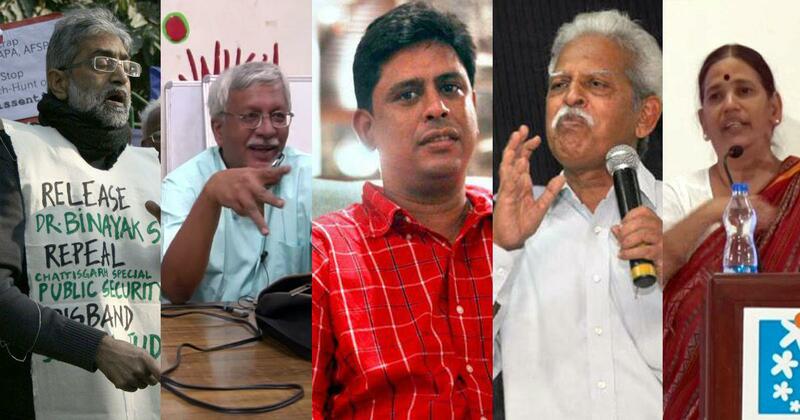 The five activists who were arrested on August 28 in connection with the case will continue to remain under house arrest. The court was hearing a petition that challenged the arrests of the five activists by the Maharashtra Police as part of the Bhima Koregaon investigation. Both sides have asked for more time to file additional documents. An intervention application was also filed on behalf of five activists arrested in June – Shoma Sen, Surendra Gadling, Mahesh Raut, Rona Wilson and Sudhir Dhawale. 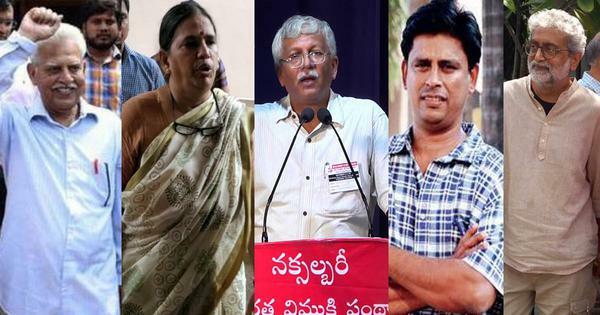 On August 28, the Pune Police raided the homes of 10 human rights activists across the country and arrested five of them – Arun Ferreira, Vernon Gonsalves, Gautam Navlakha, Varavara Rao and Sudha Bharadwaj. The following day, the Supreme Court ordered that they be placed under house arrest till the next hearing on September 6. “Dissent is the safety valve of democracy, if you don’t allow safety valve, pressure cooker will burst,” the court had said. The court passed the order after historian Romila Thapar, economists Prabhat Patnaik and Devaki Jain, sociology professor Satish Deshpandey and human rights lawyer Maja Daruwala filed a petition seeking the immediate release of the activists and an independent investigation into the allegedly arbitrary arrests. During the last hearing on September 6, the court extended their house arrest till September 12 and adjourned the matter. 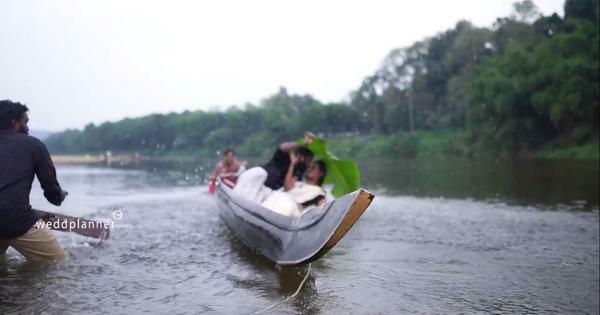 The bench of Chief Justice Dipak Misra and justices AM Khanwilkar and DY Chandrachud, however, had pulled up the police for briefing the media even when the case was still in court. “There was an attempt to throw an aspersion and say SC should not have taken up this matter,” said Chandrachud. Additional Solicitor General Tushar Mehta offered an apology on behalf of the Maharashtra government. The Maharashtra Police have defended the arrest on the grounds that the five activists were planning large-scale violence. The claim was made in a counter-affidavit filed in response to a notice issued by the Supreme Court the day after the arrests. The police have claimed that the activists were in the process of fomenting large-scale violence and destruction of property, which would have resulted in chaos. The police said this was part of the agenda of the banned outfit Communist Party of India (Maoist). The Maharashtra Police had earlier claimed that the activists were involved in the Elgar Parishad, an event organised in Pune by two retired judges on December 31. The following day, there was caste-related violence at the nearby village of Bhima Koregaon where thousands had gathered to commemorate the 200th anniversary of an 1818 battle in which a British army with a contingent of Mahars defeated the much stronger forces of the Peshwas, a regime noted for their casteist policies. The police have said the activists’ speeches at the event were meant to incite hatred. The retired judges, however, have said that the arrested activists had nothing to do with the event. The police also claimed to have seized thousands of letters exchanged among “underground” and “overground” Maoists.